For some 30 years I have packed and unpacked, shelved and reshelved a library full of books that I have not yet read but would not dream of carting off to a charity sale. Naturally I assume that the day will come when that book will come to my attention and, conveniently I will have it at hand. Of course, in the meantime a wealth of new books have joined my libraries, actual and electronic, so that all those long held treasures run the risk of absolute obscurity. I suspect more than a few book addicts can relate. And sometimes the tendency to hoard a book pays off, though sadly that time is too often heralded by the death of the author. 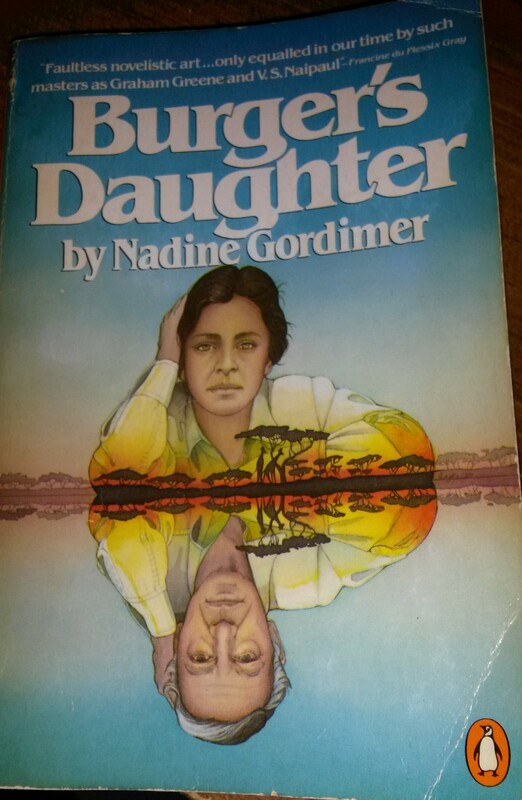 I must have purchased Nadine Gordimer’s Burger’s Daughter, in the very early 1980s. I was studying anthropology and working part-time in a bookstore. South Africa and the struggles against Apartheid would have held a particular resonance for me through the presence of a number white South African ex-patriots who had found their way to the Anthropology department of a Canadian university for their own safety. However, had I read this novel when I first bought it, I am not sure if I would have been able to fully appreciate this powerful testament to those men and women, white and black, who risked their freedom and too often their lives to fight for justice. But with 30 year’s perspective, the hard won experience of middle age and the political changes that have marked South Africa in deeply complicated ways both positive and negative – as history tends to unfold in real life – this is one of the most rewarding reads of the year for me to date. 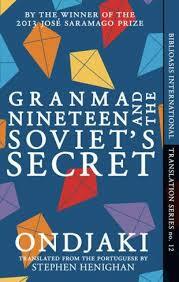 Ms Gordimer’s writing is rich, complex and worthy of a careful read. The shifting perspectives take the reader in and out of internal monologues that Rosa Burger, the daughter of a doctor and Communist activist who has died in prison, holds with the many individuals she encounters or remembers as she struggles to find an identity for herself in the huge shadow cast by her famous father (a fictionalized tribute to the lawyer who defended Nelson Mandela). In the infinite wisdom of Wikipedia, Burger’s Daughter is described as historical fiction. Of course, it is no such thing. Rather it is a time capsule, a deliberately political novel, but written without the advantage of knowing that Mandela would walk to freedom, become President, and pass away leaving a society where so many still live on a razor’s edge even if the tapestry has changed. The final pages of Burger’s Daughter paints an uncertain future. Yet like life itself, the novel is brimming with vibrant, colourful characters brought to life with keen and loving detail. The complexity of the politics presented at the time of writing combined with the critical distance of three decades impressed me deeply. It takes courage to speak to injustice. Nadine Gordimer herself knew that her work not only took risks but would also be forever defined by her colour. Moving beyond colour, religion, ethnicity, culture, gender, ability, orientation or the myriad of other divisions we seem to be able to construct as to divide us as humans is a seemingly impossible task. But by taking that one piece to which a writer, by virtue of fate or circumstance, is able to address and telling the stories that matter, small changes may be possible. Nadine Gordimer was a writer of courage and I am ashamed that it took her death to bring her into my focus. So the Booker Prize Longlist for 2014 was announced this week and, as much as I like to think that this is a list that does not hold quite the same seal of approval and impact that it once had for me I must confess that I am a sucker for these lists all the same. Generally, over time, I do manage to read more more than a few of the long and or short listed titles, and in doing so, I am invariably exposed to authors I might not have otherwise read. I am not likely to radically alter my looming to be read list just to have a go at a few of these titles in advance, but I did want to take a moment to look back on the most unlikely contender and, as it happens, the only one of these books that I have already read. The Guardian review that brought this title to my attention was so deeply intriguing I just had to read it as soon as possible. I have only just learned that it was a crowd sourced project, a factor that makes its appearance on the Booker Longlist that much more, shall we say, against the norm. 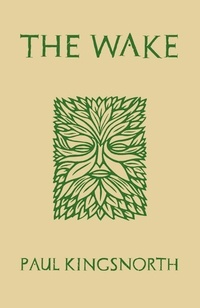 The Wake by Paul Kingsnorth is an historical novel set in the years immediately following the Battle of Hastings from the perspective of the very ordinary and simple farm and townspeople who were watching the world they knew turned upside down by a foreign invader. The magic of this amazing tale comes through a very creative and effective use of language. 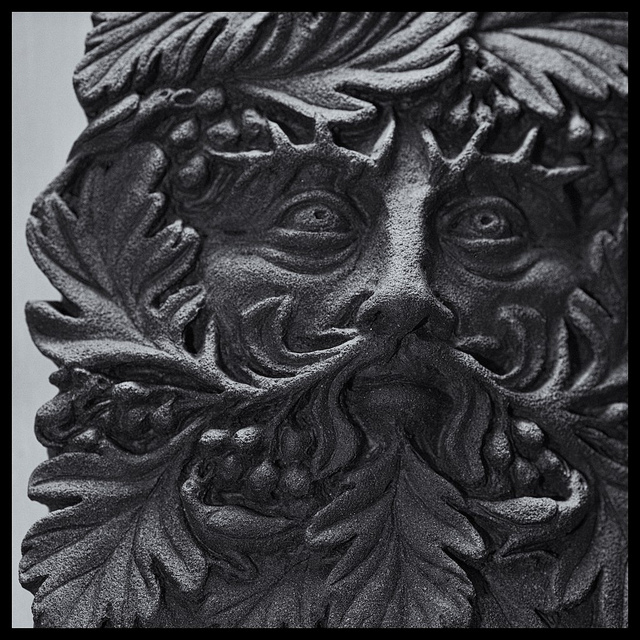 It is written entirely in a shadow tongue designed to evoke the feel and mindset of Old English while retaining accessibility for those of us who are not OE scholars. It may sound like a gimmick but the approach actually affords a unique immersive experience. Kingsnorth relies on much authentic vocabulary without being unnecessarily rigid, while recreating the syntax and common spellings of Old English (using only the letters in use at the time). As a reader it takes a while to develop a feel for the language. At the beginning I found myself translating the directly in my head, the way I do with my rudimentary French, but soon that process fell away. It helped when I discovered that there was a most illuminating author’s note on the reasons for his approach to creating this language and I would suggest that a reader review this early on. I read the book on a Kindle as that was the only edition readily available in Canada at the time so I did not realize the supplementary sections, glossary and extensive bibliography existed until I was well into the book! What takes this small novel beyond a purely literary or historical exercise is the skill with which Kingsnorth brings his chosen narrator to life. Buccmaster of Holland, is a proud socman or freeman landholder, who leads a small band of self-styled greenmen in guerilla warfare against the Norman invaders. They make for a rather motley crew and our leader is no Hollywood inspired superhero. As the tale unfolds we become increasingly aware that this coarse, paranoid, prejudiced man is clinging to a deeply superstitious tradition that was on its way to being replaced by Christianity long before the French arrived. We find ourselves bound to an increasingly delusional man with dark secrets of his own. Kingsnorth himself describes this novel (his first) as a post-apocalyptic tale set 1000 years in the past. Of course it also has strong echoes in the vast number of occupations and conflicts, large and small, that continue to haunt communities and cultures throughout the world today. I first read this novel three months ago and loved it. However I look back on it with some measure of discomfort as I now continue to come to terms with the fall out of from a serious manic episode. In the leadership role I held at my workplace I became increasingly stressed under mounting pressure and, although I can’t remember, I must have seemed erratic, irritable and well, unstable. The truth of madness, is that you cannot see it from inside. For a long time you may sense that something is wrong but in the end you lose all insight and judgement. The narrator who guides us though The Wake, is a complex troubled character, but given his challenges and his panic at seeing his world – on the fundamentally economic and spiritual level – slipping out of his grasp, his sanity is at stake. I cannot imagine I would have fared any better. I am now a few weeks beyond the significant manic episode that has ground my life and work to a halt and precipitated a sudden crash into depression, anger and frustration. The crisis did not happen overnight and the healing will take time but I feel some measure of relief that my ability to lose myself in a book has been returning. Some additional anti-anxiety meds are helping too but I am trying to remain open to literary whims – reviews, suggestions from readers I respect, stray quotes that catch my attention. It seems to be critical medicine for me. Fortunately there is also that wellspring of rewarding fictional riches, The International Impac Dublin Literary Award. Each year nominations are commissioned from public libraries around the world to create an extensive longlist from which a shortlist of 10 titles is ultimately drawn. 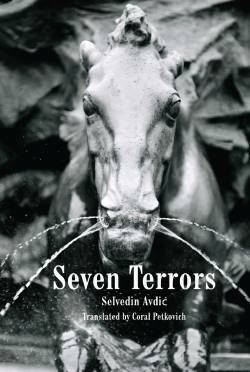 It is inevitable that works in translation tend to feature prominently both in the shortlist and among the archive of winners. Purists can argue over the Booker all they want, this is the award I watch. This year’s winner, just announced in June, is The Sounds of Things Falling by Colombian author Juan Gabriel Vasquez, translated by Canadian Anne McLean. This book had been waiting on my ereader for some time, but in light of its recent honour, I thought it might be time for a closer look. A few pages in and I was hooked. Billed as a literary thriller I was expecting a perhaps an entertaining diversion from my own troubles but in truth I soon found myself deep in a remarkably intimate account of the impact that traumatic experiences have on those directly effected and those around them in ways we often are powerless to predict or prevent. Whether the trauma results from actions chosen or events over which an individual has little or no control the fallout over days, month and years can lead to fateful decisions, ruptured relationships and deep wounds. At the core of this novel are two strangers, brought together through an act of violence who find temporary refuge in a sharing their own experiences of coming of age in Bogota at the height of the drug fueled wars of the 1970 and 80s. I was able to lose myself in this novel but it did not serve as quite the distraction I expected from a “literary thriller”. There was a disturbing real world resonance that I could not have anticipated. The Sounds of Things Falling is more than simply a title, it is an experience repeated and echoed throughout the novel. From a airshow stunt gone terribly wrong, to a fatal drive by shooting, to the devastating crash of a jetliner. Because a key character was a pilot, de Saint-Exupéry‘s The Little Prince also features as a beloved childhood tale. It was disturbing to imagine the little prince asking the pilot if he also fell out of the sky when bodies were literally falling out of the sky as Malaysia Airlines MH17 exploded over a disputed region of the Ukraine. Trauma, small and personal or wide-reaching and global and all shades in between have always marked human existence. It divides and unites us in large and small ways. the complexity of that experience is, for me, one of the primary themes explored in this worthy literary award winner. With sincere apologies to David Mitchell, I have been reading myself through the crest and early weeks of the fall of a mental health crisis with his novel The Ten Thousand Autumns of Jacob De Zoet. Probably not fair to him or me. I am not a speed reader but I can generally manage 4-5 books a month. I embarked on this voyage with the Guardian Reading Group in early June and finally closed the last page today. I know that reviews were mixed when this book was published in 2010 but I would not suggest this as a companion for a manic episode. It was not bad or entirely uninteresting (though I confess I preferred the graphic turn of the 18th century medically graphic scenes, shades of Patrick O’Brian’s Aubrey–Maturin novels where you have to wonder how anyone survived the surgical interventions, let alone the nautical warfare). Although the era and setting of this historical – and for Mitchell of Cloud Atlas fame – remarkably straighforward tale I think it could have been much more coherent and tightly paced. I think that I stuck to this book more as a testament to myself that I could pull myself through this period of turmoil which has left me depressed, angry and confused as I sit on sick leave and wonder if my career is in shambles. I was afraid that if I stopped reading, even with the idea that I might return at a later date, I would be giving in to the mass of tangled emotions that my breakdown has left me struggling with. Some level of normalcy has to be maintained and, at this time it has meant reading. So where now? Something shorter, something magical I should think.